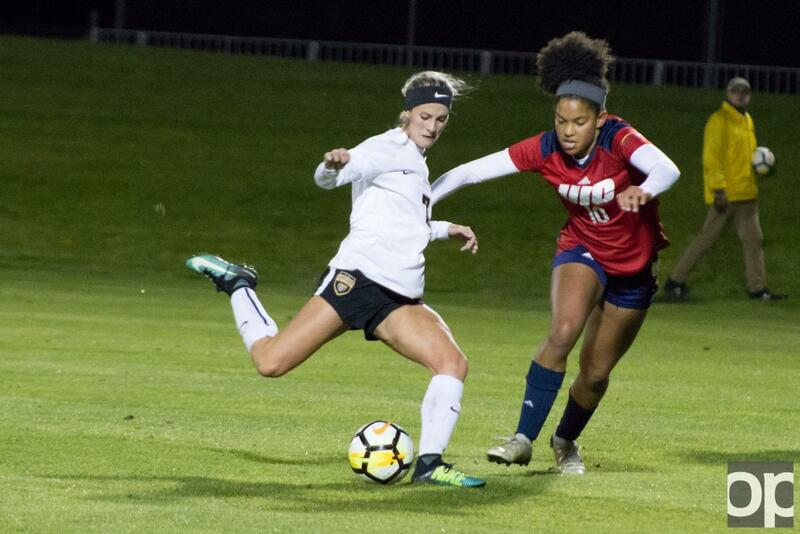 A night game in Milwaukee turned into a thriller as the Golden Grizzlies were able to win 1-0 versus the University of Wisconsin-Milwaukee Panthers on Saturday, Oct. 20. Forward Nebojsa Popovic scored a game winning goal in the bottom right corner with only 19 seconds remaining. Assisted by midfielder Jimmy Todd, the shot was only one of two shots on goal for Oakland the entire game. Goalkeeper Sullivan Lauderdale had a great game, recording his third shutout on the season with three saves. This win moves the Oakland record to 3-3 in the Horizon League. 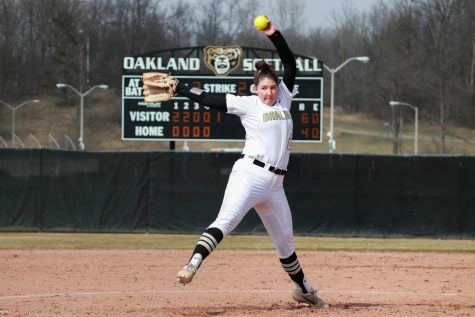 A 3-3 record puts Oakland tied for fifth in the conference with Northern Kentucky University. The Golden Grizzlies’ next Horizon League match up is against the Cleveland State University Vikings in Cleveland on Saturday, Oct. 27. The next home game is against Horizon League competitor the University of Wisconsin-Green Bay Phoenix on Friday, Nov. 2. In a back and forth match against Cleveland State on Sunday, Oct. 21, Oakland Volleyball was unable to emerge victorious, falling in five sets 3-2. Jamie Walling was the offensive leader for Oakland, recording 21 kills and adding two blocks to round out her game. Krysteena Davis once again led the team in blocks, recording seven. It was a very even-fought match between these two Horizon League opponents, as the first through fourth sets were back-and-forth the whole way. Finally, the Vikings broke through in the final set, breaking the back-and-forth match with a 15-10 win in the fifth set. This loss moved the volleyball team’s record to 3-7 in Horizon League play. Currently standing seventh in the conference, the team returns home for a match up against the No. 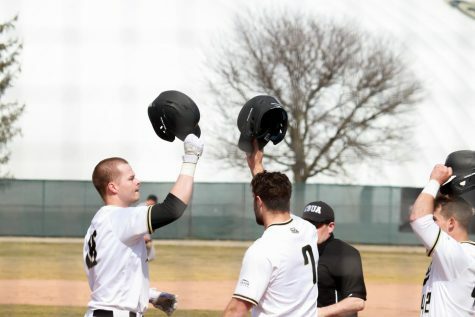 1 team in the conference, the Milwaukee Panthers, on Friday, Oct. 26 at 6 p.m.. In their first conference match of the season on Friday, Oct. 19 the swim and dive team routed Youngstown State, with a final score of 193-104. Katie Colwell and Susan LaGrand had four first place finishes each on the day. Both Colwell and LaGrand were on the 200 Medley Relay and 400 Freestyle Relay teams that took first place with times of 1:48.40 and 3:36.71, respectively. Colwell took home two solo wins in the 200 and 100 freestyle events, and LaGrand won the 100 backstroke and 100 butterfly events. The next swim meet for the Golden Grizzlies is at home against the Wayne State University Warriors for Parent’s Day on Friday, Oct. 26 at 5 p.m..
On senior night, the women’s soccer team was able to secure their second win of the season against the UIC Flames on Saturday, Oct. 20. With a final score of 1-0, this match was the fourth of the last six games that the women allowed zero goals. 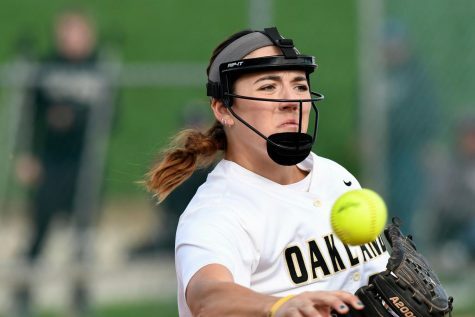 Oakland’s defense was able to keep the Flames away from the net, only allowing three shots on goal, Jaimie Leas recorded her fourth shutout with three saves on the day as the defense starred in this Horizon League match-up. The lone goal came right before halftime, as midfielder Lauren Bos’ shot was blocked, but forward Sierra Grodsinsky was able to stay with the shot and put it in the back of the net. The women’s soccer team has one match left this season, on Friday, Oct. 26 in Indianapolis against the IUPUI Jaguars.